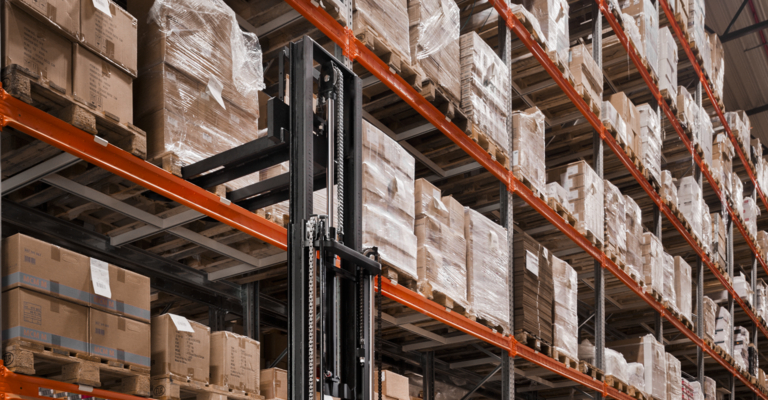 Material handling activities are a large part of most transport and warehousing operations. The involvement of manual handling in the processes can increase the risk of work related musculoskeletal disorders (WRMSDs) as a result of putting the body, particularly the back under large amounts of strain. Delving into these statistics further, it shows that the construction and transportation industries record higher than average rates of reported musculoskeletal disorders. Further to that, this resulted in 8.9million lost working days due to WRMSDs. This is an average of 17.6 lost working days for each case. This attributes to 35% of all working days lost due to work related ill health in the previous financial year. But how do we combat this? One way we can reduce the risk of WRMSDs is to increase the use of powered equipment in the workplace. Now this is where we come in! 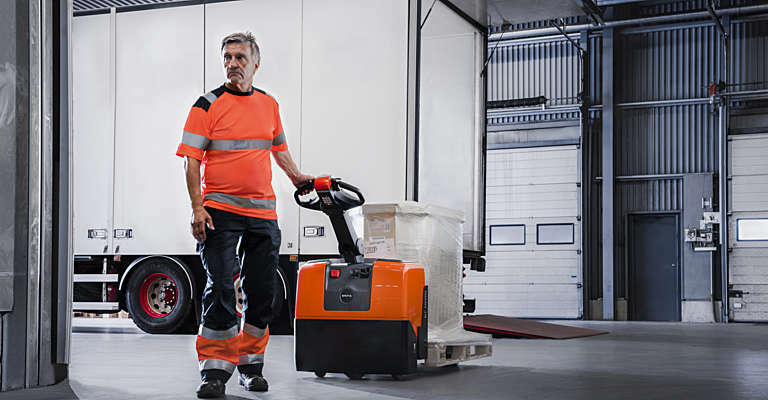 Equipment like powered pallet trucks and powered stackers will provide you with the ability to transport goods and store them at ground, first or in some cases second level. For example, the BT Staxio SWE200 pedestrian stacker truck can lift loads up to two tonnes to heights of 4.05m. The BT Levio LWE130 powered pallet truck has been built on a compact, narrow chassis and weighs only 255kg including its battery. 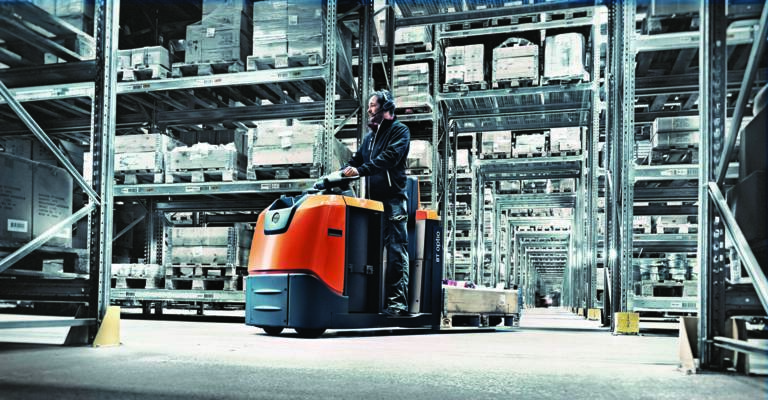 This makes it ideal for use on delivery vehicles or in retail environments where there are tight spaces to navigate. It comes with a built in charger with a 3-pin plug, allowing you to plug it directly into a power supply for charging or it can be provided with an in-vehicle charger which would allow the truck to be charged on the back of delivery vehicles. Not only this, its revolutionary motor delivers the power to get loads moving whilst maintaining low energy consumption. 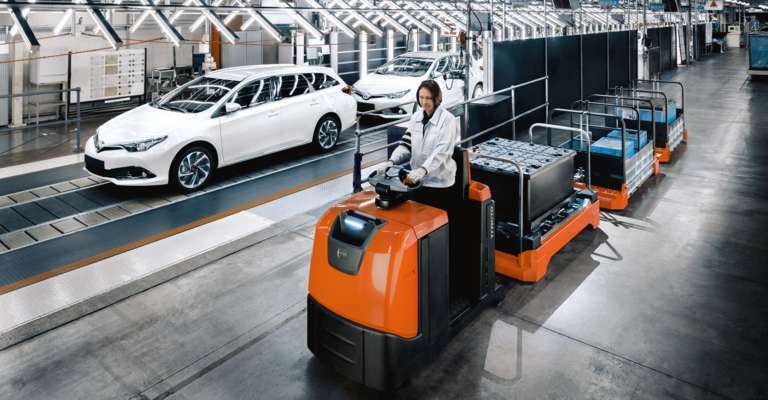 Pedestrian tow tractors, such as the Toyota Tracto TWE080N will allow you to transport roll cages weighing up to 800kg safely by pulling them behind you as opposed to pushing them manually. This truck is available with a range of connectors that suit most roll cages and has been built on a compact chassis making it ideal for use in retail environments and back of stores. You can view the report from the Health and Safety executive here. 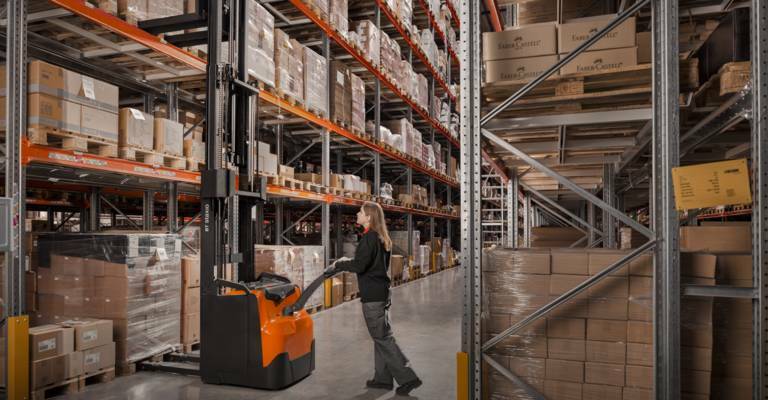 If you would like more information on our range of powered pallet trucks, stacker trucks and towing equipment, please visit www.toyota-forklifts.co.uk or you can call 0370 850 1409 today. 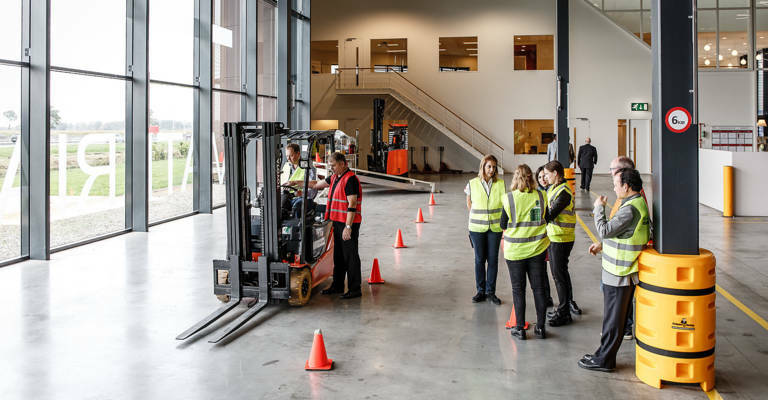 Did you know we can provide you with a free Manual Handling Guide which will give you tips and tricks on how to handle goods safely? It’s part of our free safety resources which can be downloaded here. 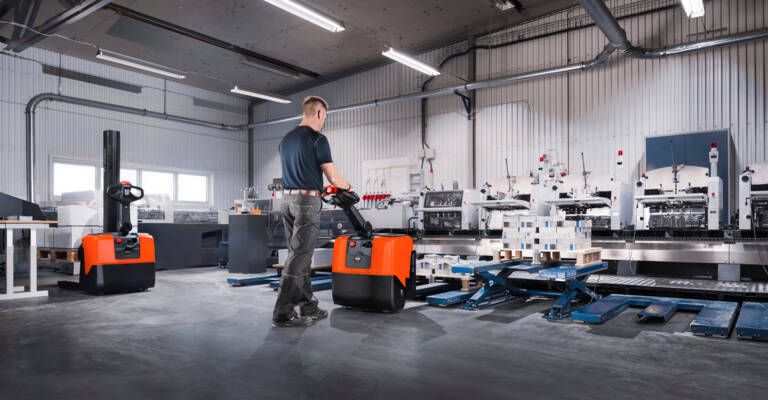 The Staxio powered stacker trucks are fit for a wide range of material handling applications and are fast, powerful and easy to use. Our range of towing tractors provides enhanced safety and efficiency in horizontal transport and order picking operations. We're committed to helping you to improve safety, which is why we offer free resource materials to help you.